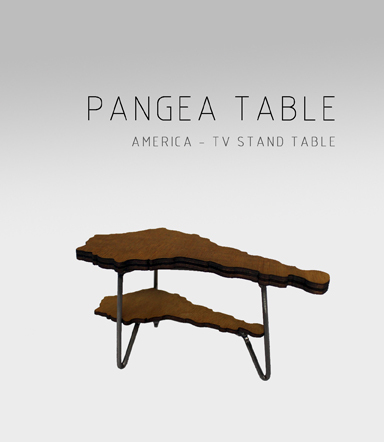 The idea behind the conception of our table Pangea begun from the observation of recent years common design choice to create smaller spaces to live in, this tendency is increasing the necessity to rethink furniture design to create pieces that are multifunctional and not cumbersome. The table Pangea take its name from the supercontinent that existed 300 million years ago when Earth surface was a single block before breaking up and drifting to their present locations. 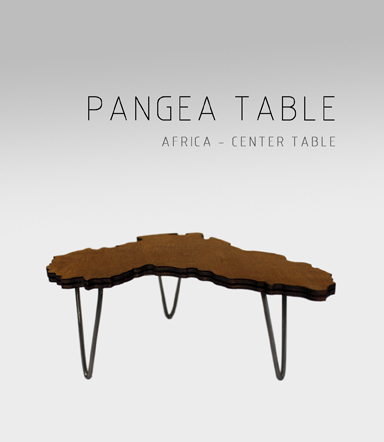 In the same way our table Pangea can be used as a single block or as up as three different pieces with different uses and functions, like the different cultures who emerged in each continent. Fabrication process involves modern cutting technologies to realize the beautiful continent shapes and to leave them perfectly joinable. The set include the three tables that are different in shape, volume and designed function, but they can be used both attached and separated. 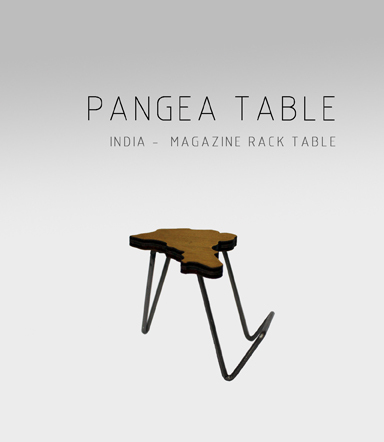 The metal framework eases moving the different tables around. 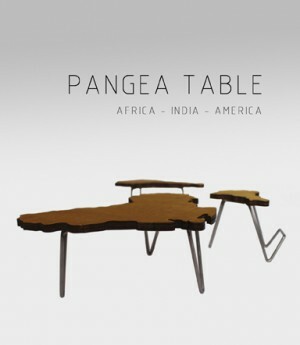 India can be used like a side table and magazine rack, America like a side table with a shelve to keep books or other objects or as a tv set table and Africa as a coffee table. This project entered in the 14th Andreu World International Design Contest in December 2014.